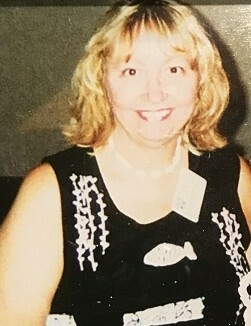 Carol Jean Heavey, of Overland Park, KS, passed away on January 27, 2019. A visitation will be held Saturday, February 2, 2019 from 10 -11 AM. followed by funeral service at 11 AM at Johnson County Funeral Chapel, 11200 Metcalf Ave, Overland Park, KS. Graveside service will follow at Johnson County Memorial Gardens. The family will host a reception at 12:30 PM at 14221 Hadley St., Overland Park, KS. Carol was born on August 8, 1954 in Kansas City, KS. She attended Raytown High School and earned an associate degree in accounting from Longview Community College. She then applied this education to a 25 year career at the IRS. Carol met her husband, Rick, in 1968 while working as a carhop at her future father-in-law's Mug's Up restaurant. They soon married in 1973 and they lived 45 wonderful years together. Rick enjoyed her beautiful smile and outgoing, loving personality. She was a dedicated, loving mother to her two sons, Brandon and Darren. She was heavily involved in her sons' sports and activities. She truly lived for her children and selflessly wanted the best for them. Carol was the "glue" that kept the family together. She loved organizing family events and spending time with those that she cherished most. Known as "Mimi" to her two grandchildren, Addison and Emmeline. She adored her time with them playing games, reading stories, and watching movies. Carol is survived by her husband, Rick; children, Brandon and Darren; daughters-in-law: Nicole and Sarah; grandchildren, Addison and Emmeline; and brothers and sisters, Robbie, Doug, Mark, Connie, and Debbie. In lieu of flowers, the family asks that donations be made to the Cystic Fibrosis Foundation (https://www.cff.org/Get-Involved/Donate/).